What do you get when you cross a child’s door with a refrigerator? 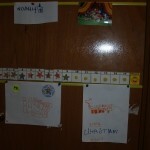 A door that any kid can use to show off his best work. This is a simple project you can do with your child (it takes less than an hour), and then eliminate the need for tape or stick-tack for hanging those masterpieces. You will need an old tape measure and some magnets. You can probably find these at a dollar store. You will also need a pair of tin snips, a screwdriver, and a drill. 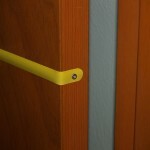 Start by disassembling the tape measure and cutting the metal tape into lengths that fit the door. 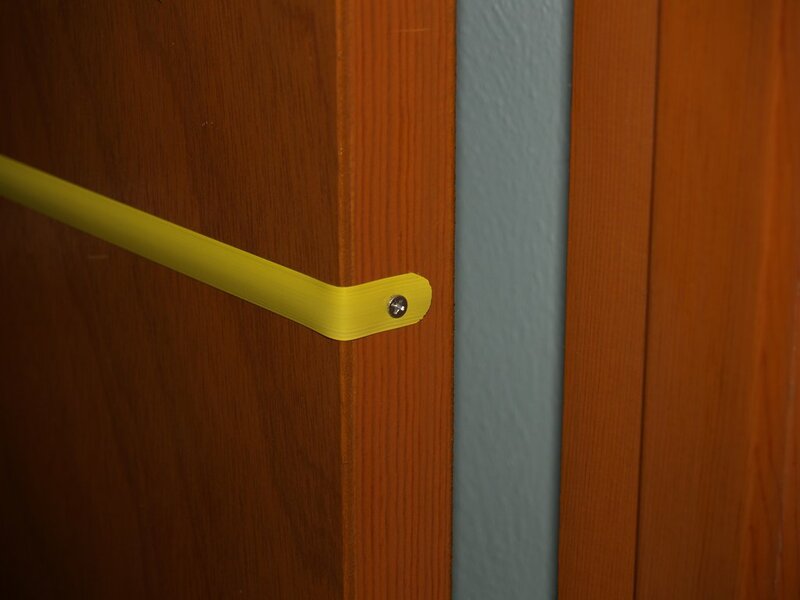 Remember to leave enough extra to wrap around the outside edges of the door — this way your screw holes will not show if you ever decide to take the strips down. You might want to round off the ends with the tin snips so there are no sharp edges. Then drill a hole in each end of the strip, and attach them to the door. You will probably want to countersink the screw holes so that they fit flush and won’t interfere with the closing of the door. Also be careful not to crease the tape measure too much around the corner of the door, as the metal is brittle and might break. 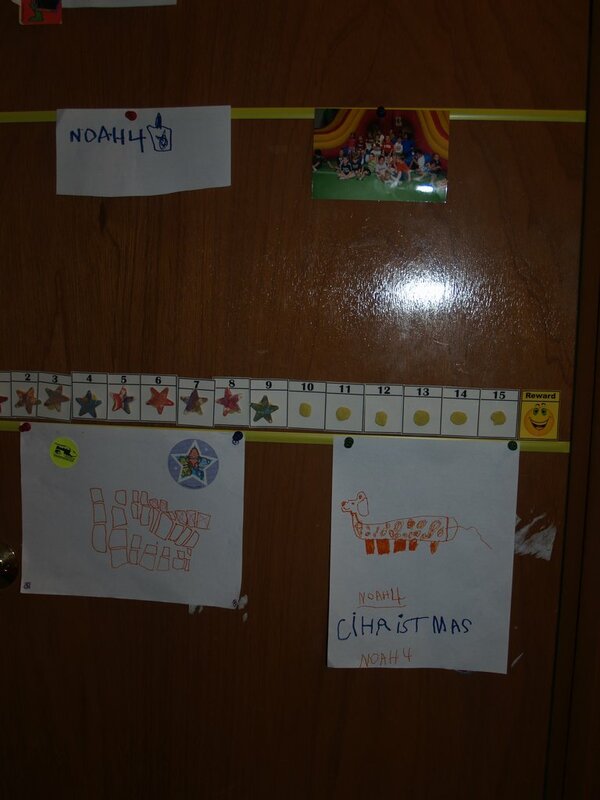 Once your strips are in place, grab your magnets and put up your favorite artwork or photos!